Junior Dragons Den Championship May 5th, 2018! 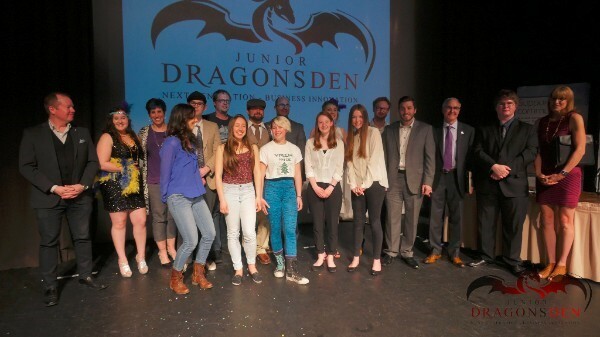 TRAIL, BC – On Saturday, May 5, young entrepreneurs will compete for cash to support their small business dreams at the Junior Dragons Den Championship at the Charles Bailey Theatre in Trail, B.C. The event, organized by Community Futures Greater Trail, features the winning business concepts from regional competitions that took place earlier this year in West Kootenay Boundary and the Peace Liard regions of British Columbia. Young entrepreneurs compete in three age categories—Junior (grades 7 to 10), Senior (grades 11-12) and Post Secondary—for prize money ranging from $500 to $1,500 on the line for the winners. Competitors can pitch any business idea as long as they have the business plan to support it. Their business may be in the idea phase, or it may already exist. Past competitions included business plans to create mobile apps, clothing lines, and food products. “Part of the challenge for our Dragons is in the comparing of two totally different business ideas that may be in completely different stages of development. It really comes down to the individual or team pitching the idea and the case they make for their business.” said Kalacis. Modeled after CBC’s “Dragons’ Den”, Junior Dragons’ Den started as a West Kootenay-Boundary wide student business competition four years ago. Since then, it has expanded throughout the province with two regional competitions and a championship. The fifth annual Junior Dragons’ Den Championship takes place at the Charles Bailey Theatre in Trail on Saturday, May 8. Doors open at 5:30 pm. The event is free and open to the public. Audience members also have a chance to enter the “Junior Dragons Den” photo contest. Entry is simple: submit your favorite picture taken at the show, and tell your friends to vote on the Junior Dragons Den Facebook page. The contest will be online from Monday May 7th to Wednesday May 9th at midnight. Up for grabs is round trip airfare for one person, between Trail and Vancouver with Pacific Coastal Airlines. For more information, visit juniordragonsden.com.